A Toronto-based married Ghanaian pastor and self-proclaimed “prophet” can’t keep his identity secret in a paternity case just because the publicity could damage his reputation and hurt him financially, a judge ruled Tuesday. The Star reports that Ontario Superior Court Justice Fred Myers dismissed a request by Martin Kofi Danso to extend a publication ban and sealing order on a court file related to allegations he fathered a child with a former congregant, Chris-Ann Bartley. Publication bans in family court matters are typically used to protect the identities of children involved, while Danso cited the risk to his “significant commercial/financial interests” as a reason for requesting a ban. Bartley’s lawyer, Theodora Oprea, said after Tuesday’s hearing, that a DNA test has since confirmed Danso is the father of her client’s baby boy, who is now six months old. Danso’s lawyer argued that without anonymity, his client will face “emotional, harm, and stress,” particularly if allegations involving other members of the church — which have been posted on social media — are released to the broader public. Danso is the founder of Miracle Arena for All Nations, which operates 17 churches including chapters in Toronto. His wife, JoAnne Danso, is a reverend with the church known as “Mama.” Court heard Tuesday she is expecting twins any day now. 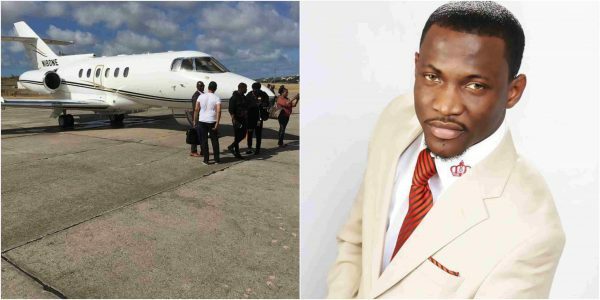 A 2016 article posted on modernghana.com reported Danso travels aboard a private jet given to him as a surprise birthday party by his church.